Teachers are said to be the strongest influence in the life of every child, therefore they need to learn how to communicate sensibly because they served as role-model to them. When teachers talk and speak in front of the class, he projects his personality, values and attitudes that’s why he must be careful in sharing his ideas, opinions and beliefs to his learners. Follow school rules and regulations – Always be in complete uniform and wear your ID. Don’t use your cell phone during classes – Give respect to your teacher. There is so much time that you can use your cell phone outside the school. Greet your teachers and classmates – A simple good morning, good afternoon or hello is enough. Do not cheat and copy during examinations and quizzes – Just try the best that you can do. Remember the 2R (read and review). Always be present and study hard – If you get absent, you’ll miss the day’s lesson. Study hard and make your parents proud. Ladies First – Guys, you should respect women. It is a part of our values and culture. Cross at the pedestrian lane – This is for your own good to avoid accident. Listen to your parent’s and teacher’s pieces of advice – If you listen to them and followed their advices you will gain success someday. Avoid overpricing – About the activities and programs that need payment just get the exact amount of money from your parents. Don’t cheat them. Time is an invaluable resource freely bestowed to everyone. Each of us has been given 24 precious hours to spend everyday. Now let’s learn from them and be a better mentor. Don’t engage in unprofitable conversation. Do something beneficial for our pupils. Learn the habit of making a list. Allot time for self-enriching activities. Don’t delay any assign work. Realize the uncertainly of time. So from now you should learn that proper time management is one of the secrets of being a successful mentor. It is not a guarantee that we can be rich in this profession. But it will definitely make us fulfilled teacher. You are a teacher. You must be happy with your profession. A teacher must be properly nourished. “A healthy, happy life starts with proper nutrition.” It further affirms that proper nutrition is the key to healthy and happy future. Clear his mind of annoying psychosomatic illnesses such as fatigue, backache, headache, and asthma. Learn good eating and sleeping habits. Develop his mind to help heal his body of common ailments. Develop a happy outlook in life. Must have a regular medical check-up so that possible illness can be detected easily to prevent death on disability. All of us often encounter confusion about our values. But for our kid’s today, conflicts on values are more acute. With these, how can they learn to live decently and with integrity when the world surrounding him is full of conflict. Thus, the school must give importance in the values formation of each learner because next to the church and the home, the school is served as an influential institution in molding the attitudes of a person. An ideal student is one who study well, who do well in his environment, modest in his behaviour, honest in his thoughts and actions, obedient to his parents and other elders and possess discipline at all times. One of the most crucial skills that have to be developed in the individual’s initial stage of formal education in reading. The nature of present day life is such that a person can hardly exist without being able to read. Everybody knows that reading is the primary avenue to knowledge. One must forever learn more and reason more. Reading helps to accomplish this. 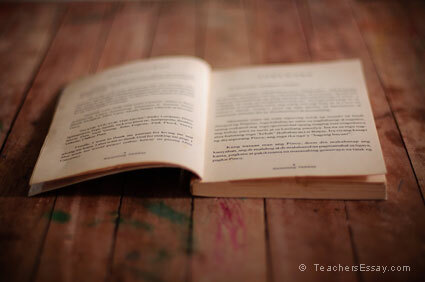 It is the most important task of learning and all lessons in school need reading. A pupil who loves to read well becomes independent, well informed and eventually becomes a better citizen. Success in reading therefore, is success in school, and in future life. Reading is the most important subject to be learned by children. Children will learn little in today’s world if they do not first learn to read properly. Surveys show that non or poor readers become the delinquent, the unemployed or the misfit in the society.